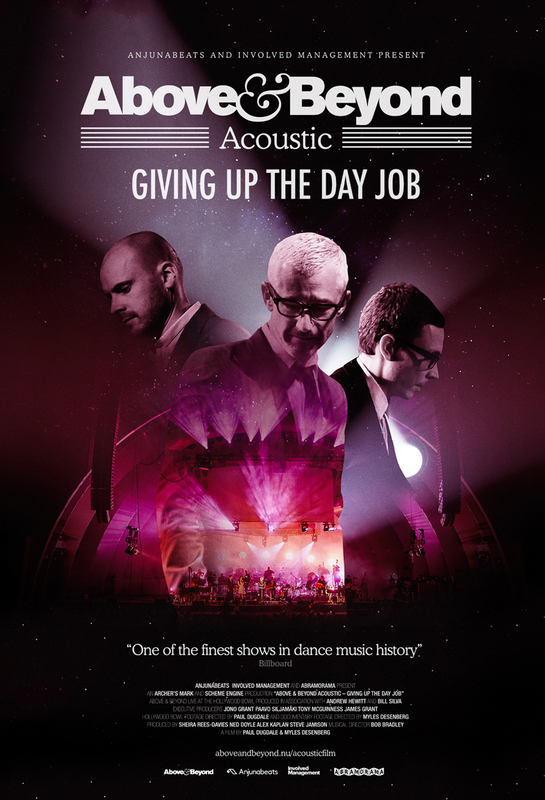 The musicians that make up Above and Beyond decided that after 16 years of DJing that they would reinvent themselves and get back to their roots by rerecording their music as acoustic with a symphony orchestra. They then took the whole thing on the road and for the first time traveled like a real rock and roll band. More performance video than behind the scenes/making of, GIVING UP THE DAY JOB is full of glorious music. Like many performers who are primarily electronic based (say Erasure), they discovered to everyone's delight that their music gains new resonances and magic when done live with an orchestra. The music is so good that I got upset when I realized that as much as I would love to attend one of the concerts-the local one conflicts with something I already have scheduled. As great as the music is the film is less so. The sequences outside of the music probably will play great for fans, but if you don't know the guys then you're not going to really understand who they are and why the love. They all seem to be puff pieces which means we are left with just the concert performances...which is another kettle of fish.